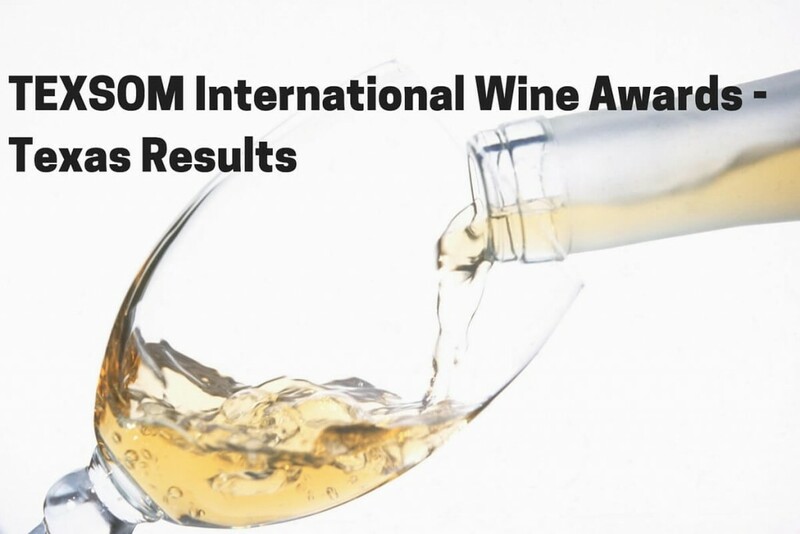 Dallas, Texas – TEXSOM Co-founders and Master Sommeliers James Tidwell and Drew Hendricks today announced the final results for the 2017 TEXSOM International Wine Awards. The Awards garnered 3,581 entries representing 29 countries and 19 U.S. States, a record for the competition. Entries in the TEXSOM International Wine Awards were blind-tasted and judged by 71 internationally renowned industry influencers from 5 countries. Of these entries, the judges awarded 2,480 medals: 310 Gold medals, 901 Silver medals, and 1269 Bronze medals. Suggested retail pricing of medal-winning entries ranged from US $2.99 to over US $700.00. Vintages spanned 40 years, with the oldest being 1977. Judges’ Selections winners, those wines that were judged best for their categories, were announced at a reception sponsored by Enterprise Greece during ProWein 2017 at the Greek national pavilion on Monday, March 20. The event was a culmination of a series of award announcements by both Texas Monthly and the TEXSOM social media channels of all the Award-winning wines. All winning wines are listed on the Texas Monthly website at http://www.texasmonthly.com/article/tiwa2017/. Texas Monthly was the presenting sponsor, and has been instrumental in promoting the competition. Last year, Greek wines showed well at the TEXSOM International Wine Awards, finishing 4th in medals received among the 25 countries entering wines. Enterprise Greece, the Greek government agency responsible for export promotion, is sponsoring some of Greece’s leading wineries at ProWein. Award entries were arranged by category of beverage, place of origin, and type. The final list of all winners includes: Judges’ Selections, Traditional Method Sparkling Wines, Other Sparkling Wines, Fortified (Dry and Sweet), Sake, White Wines, Rosé and Blush Wines, Red Wines, Ciders, and Fruit, Flavored and Honey Wines. Wines chosen for Judges’ Selections were nominated by judging panels for specific categories, then blind-tasted by special panels to determine the winner of each Selection. Judges’ Selections demonstrate quality and unique character that are exceptional even amongst their medal-winning peers. Unique among all other wine competitions, the TEXSOM International Wine Awards involved 42 rising-star sommeliers (separate from the judges) and three editors who have written detailed descriptions of a selection of medal winners. These notes will be highlighted for Featured Wines on the TEXSOM International Wine Awards website over the course of the year, and in the publication TEXSOM presents SOMMELIER. In addition to their duties in crafting notes for the selected award winners, the sommeliers participated in an educational retreat where each attended a series of seminars and observed judging by sitting with a judging panel, and also had the opportunity to receive direct instruction and feedback from a Master Sommelier or Master of Wine on blind tasting of wine. The TEXSOM International Wine Awards was supported by 71 judges and more than 80 volunteers and staffers working together to make the competition happen. A list of judges may be found on the website at http://texsomiwa.com/. Founded in 2005, TEXSOM was started by Master Sommeliers James Tidwell and Drew Hendricks to help promote professional wine service standards, outline paths for further wine education and certification, and raise public awareness about the professional standards and certifications for sommeliers. Today the conference draws more than 1,100 attendees, of whom more than 800 are sommeliers and other beverage industry professionals. The TEXSOM group purchased the competition now known as the TEXSOM International Wine Awards in April 2014. One of the largest, most respected, and longest-running in the United States, the competition was founded in 1985 by journalist and wine expert Rebecca Murphy.